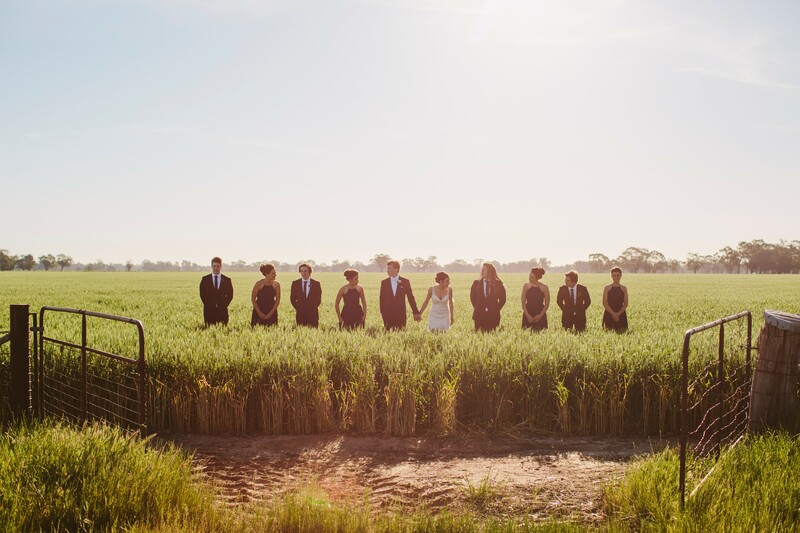 Married just shy of their seven-year anniversary on a beautiful October day, Maddie Normington and Todd Smith exchanged vows on their Murchison East farm, surrounded by the love of their friends and family. 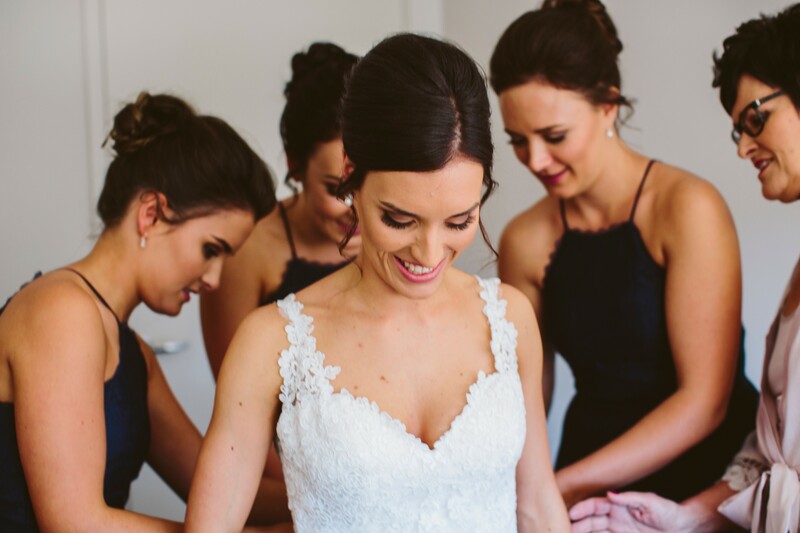 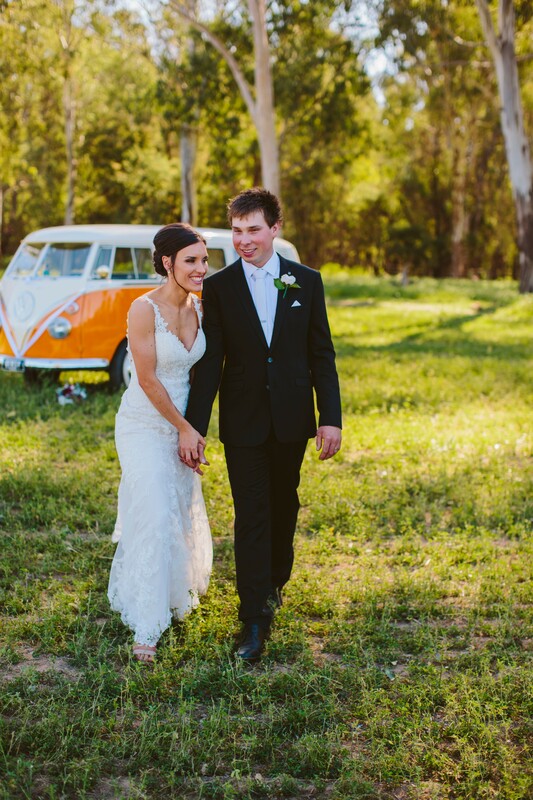 With The Woolshed @ Emerald Bank set as their reception space, Maddie said a lot of the styling took care of itself. 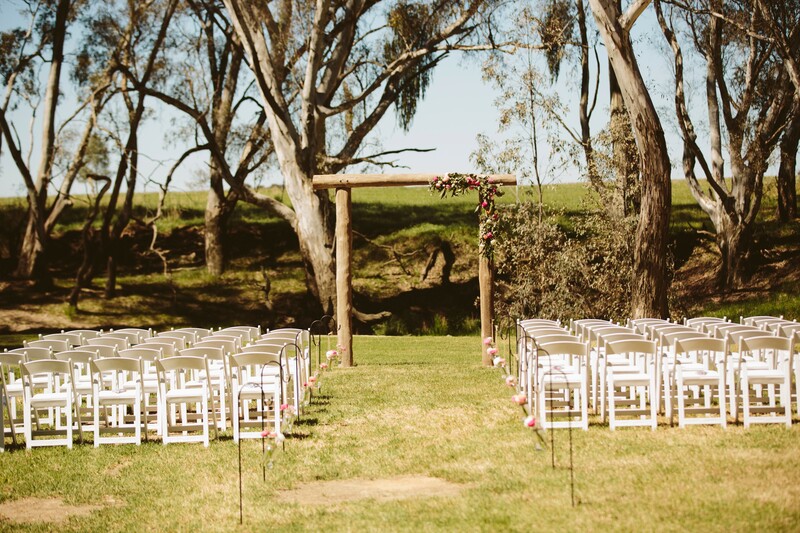 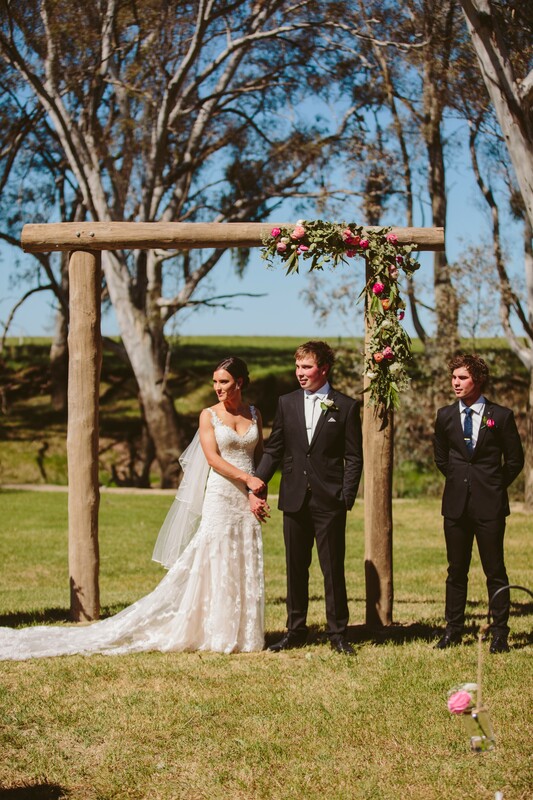 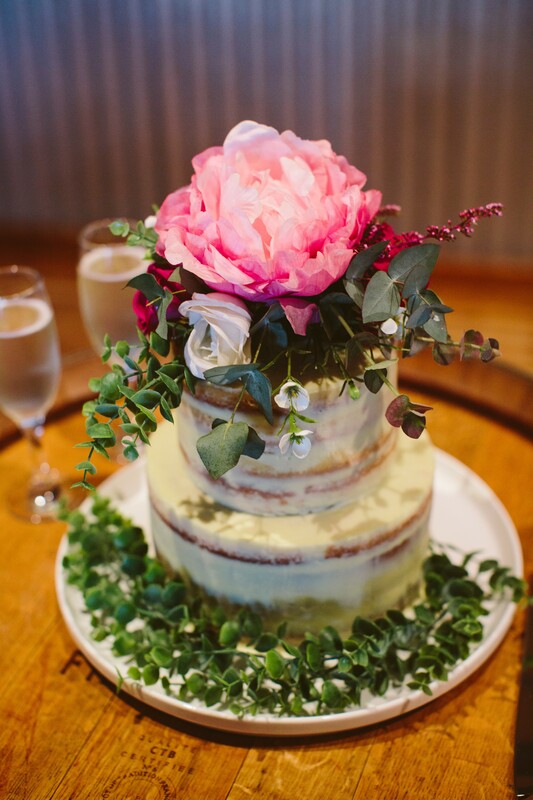 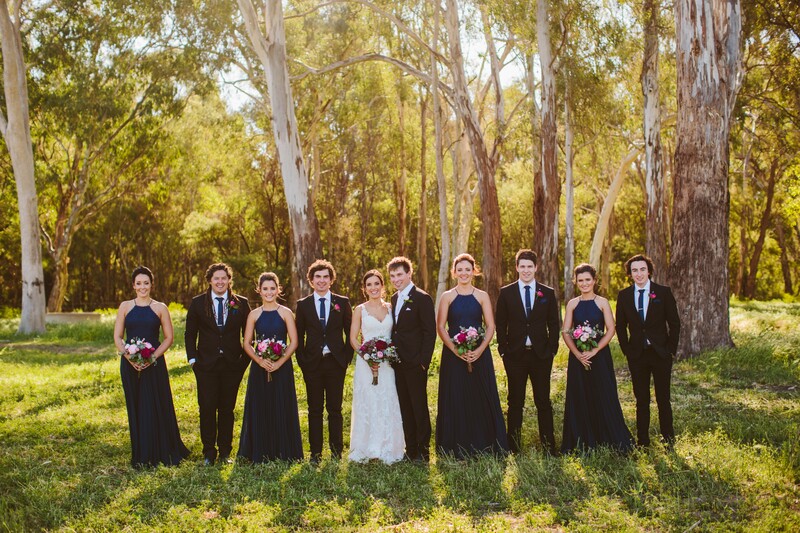 A wooden archway decorated with luscious pink flowers greeted the couple at the end of the aisle, with towering eucalyptus trees making it the perfect country scene. 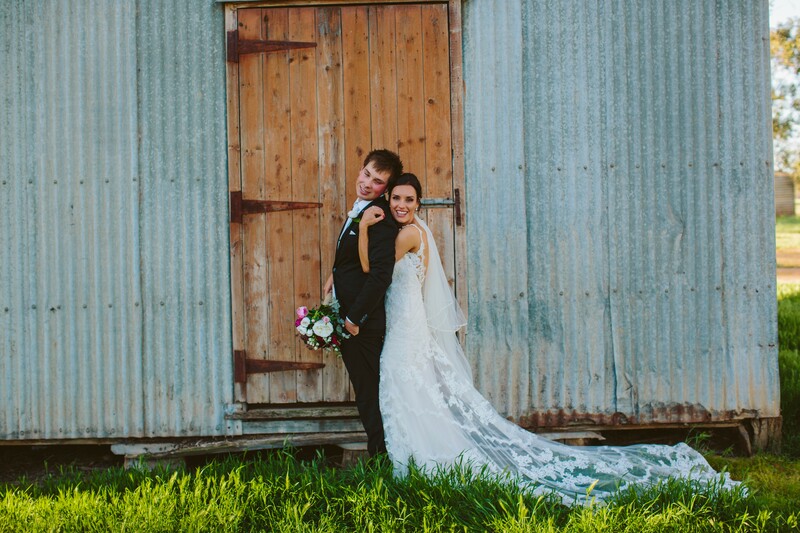 “It was always going to be a rustic style to tie in with the farm and the woolshed,” she said. 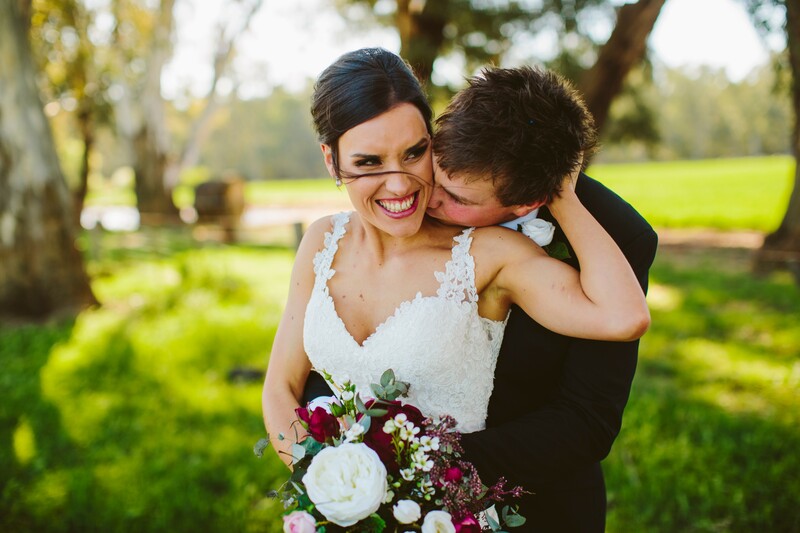 After meeting at high school in Year 10, Maddie said a lot had changed over the years, with her and Todd growing up together. 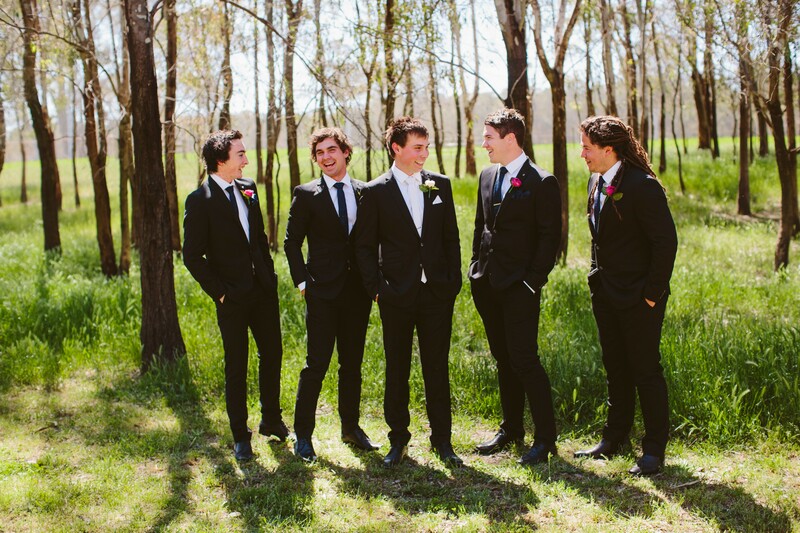 “We were just kids then. 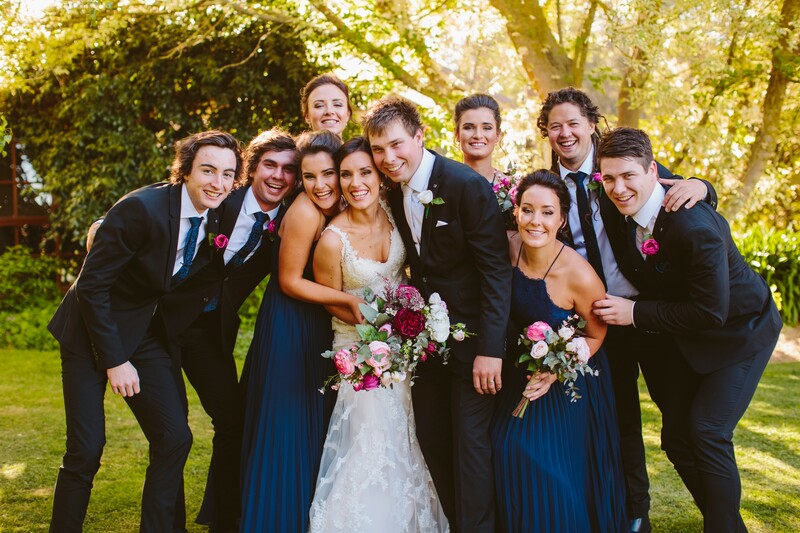 We’ve gone through a lot together and we’re just really lucky to have had each other,” Maddie said. 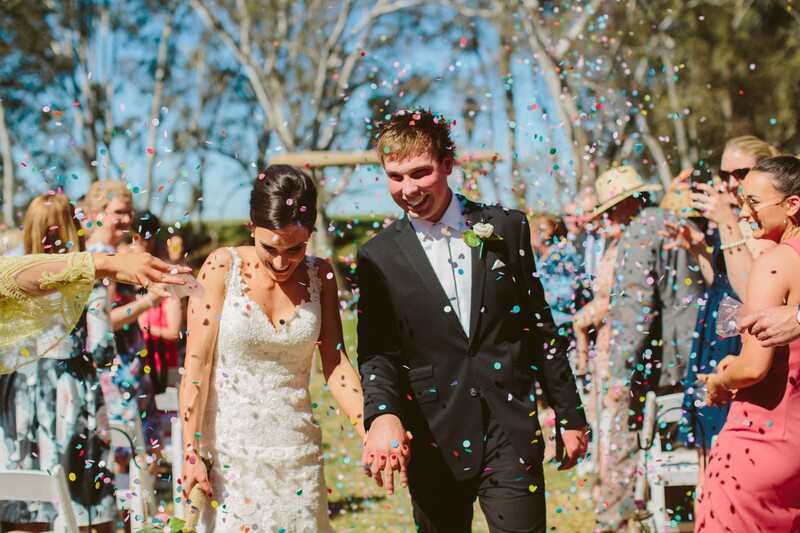 The couple took the next big step together when Todd proposed while on a romantic trip in Bright. 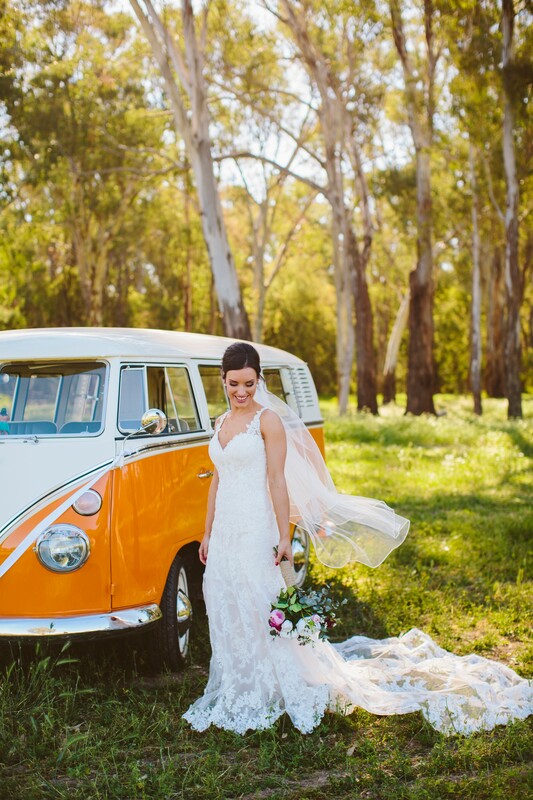 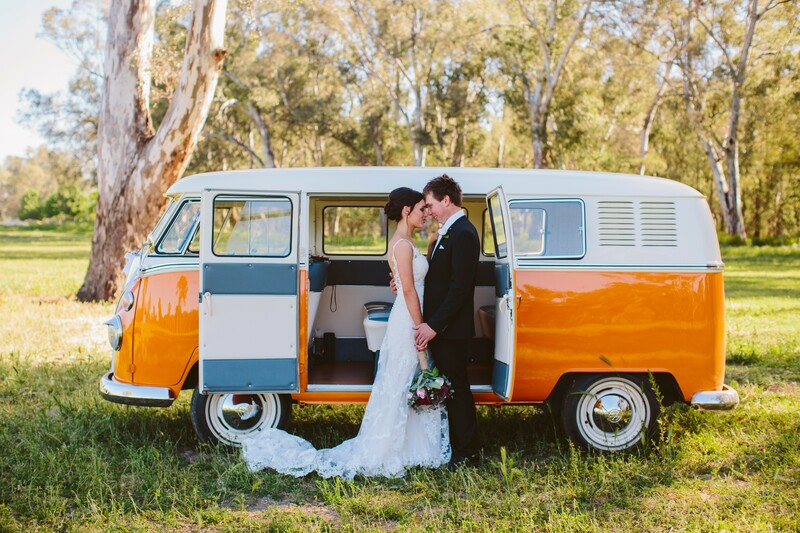 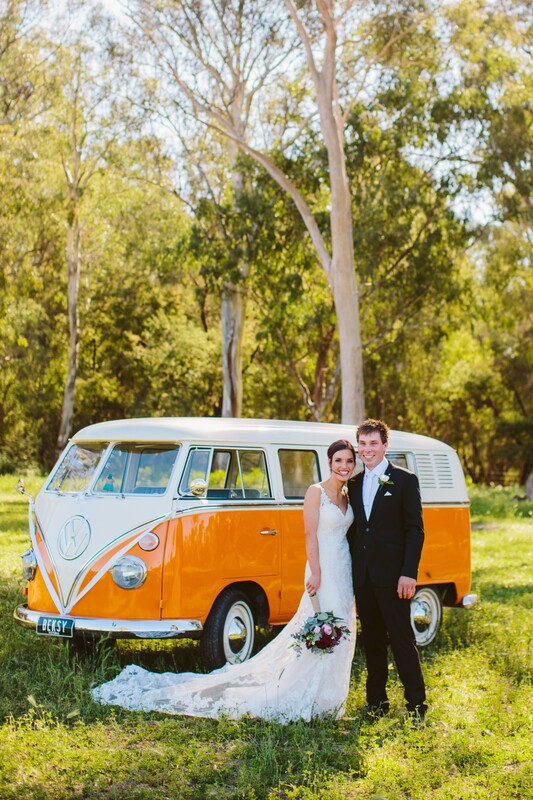 We love: The addition of a bright Kombi van. 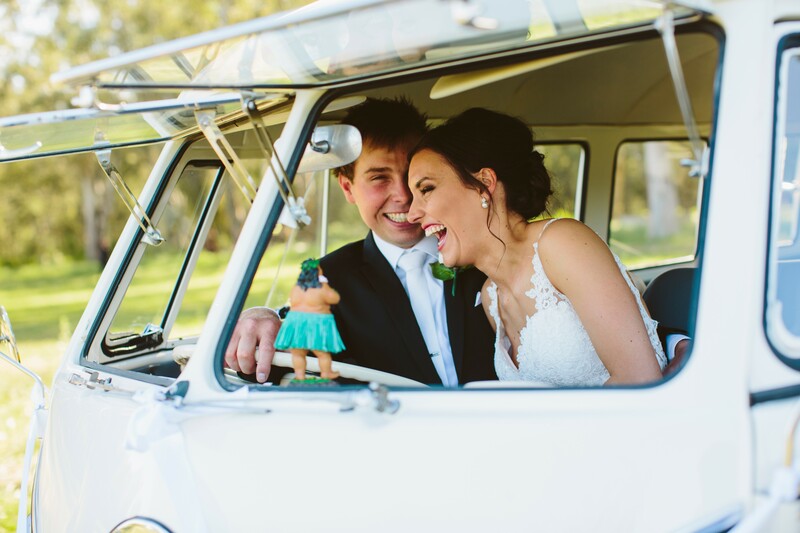 See more photos from Maddie and Todd's wedding day over on our Instagram.